In this real quick review of Auto Chat Profits I’ll be going over all of the things you need to know about it before purchasing. Is there any chance that you’ll be able to make $423.67 per day, or are they just lying in order to get your money? Within this review I’ll be answering those questions and many more, so stick out and let’s dive in! Is Auto Chat Profits Recommended? – NO! What Is Auto Chat Profits? Auto Chat Profits claims to be a new incredible software that will start bringing you tons of money on auto-pilot. They claim that you’ll be able to start making up to $423.67 per day, after just 6 minutes and as little as 14 clicks. If you’re reading this review it’s probably because you’re suspicious that these claims are too good to be true. That’s probably because the simple truth is that it is too good to be true. In all honestly Auto Chat Profits work pretty similarly to how they claim it works. The problem is that it won’t work anywhere near as good as they claim it will. The truth is that on paper, it is possible for you to make some money using the system that they give you. Here’s the basics of how it will work. You create a ClickBank account, create a simple done-for-you website, and run traffic to that website. The chat bot will interact with you visitors, learn what they are looking for and match them up with some ClickBank products. If they purchase a product through your website, you will earn a commission off of it. It sounds fairly simple, however there are a handful of things you need to consider before purchasing it. Now that I’ve gone over what Auto Chat Profits is and how it works, let’s go over some good and bad things about it. Over the next several sections I’ll be taking some time to go further in depth about all points I listed above. One thing I want to make clear is the fact that just because it’s possible that you’ll make some money, doesn’t mean it will work like they claim. The truth is that it’s not going to anywhere near as good as that. The earning that are shown in the video were not made using this system, they were made from selling other products online. You might be able to some money, but it’s not going to be anywhere near the amount they claim. Another thing I want to point out is that they straight up lie about how much this system is going to cost. In the sales video they claim that you’re going to be able to get access to it for completely free. However when you get to the check out page, they are asking for $37. Now you might be thinking that $37 isn’t bad, if you’ll be able to make some money. But that’s not where it ends. After purchasing it, you will immediately be hit with a bunch of up-sell “attachment” products that run into the hundreds of dollars. They’ll claim that the purchases will help you earn more money even quicker. But do you need to make more than $423.67 per day, after just 6 minutes and 14 clicks? The only reason you would need the up-sells would be if they were lying about how much money you’ll make, and how quickly. I also want to mention that whether you decide to purchase the up-sells or not, you’ll still have to spend more money. The thing is, no matter how incredible (or not incredible in this case) a system is, it can’t make money without visitors or traffic. Don’t worry though, they give you some training about getting visitors to you website. The problem is that the method that they teach requires you to pay for visitors. In a nutshell, you’ll be paying other people to promote your website or products to their email list. This is very risky because you don’t know how effective their list will be, or how many of their subscriber will click or even purchase. This means that you could easily end up spending more money than you earn from the traffic. Another reason I’m not a huge fan of this system is the fact that it simply doesn’t seem like a reliable income source. For example, you won’t technically own the done-for-you website that will be created for you. The domain name a web-hosting will be controlled by someone else. Which means they could stop paying for either one of them at any point. Also, you won’t get to choose the products that will be sold from your website. They will all be ClickBank products, and there are many of their products are crappy and borderline scams. I would suggest taking the time learn how to create you own website, choose what products you sell, and get free traffic. Personally I wouldn’t call Auto Chat Profits a scam because you can technically make money and get a refund if need be. However it is a low-quality product, that tries to lie and mislead you into paying for something that you ultimately won’t get. The product you’ll get won’t be anywhere near as good as they advertise, so if you want to call it a scam I wouldn’t blame you. If you’re looking for a hype-free program that will actually help you create an online business and a long-term income, then I have a suggestion for you. 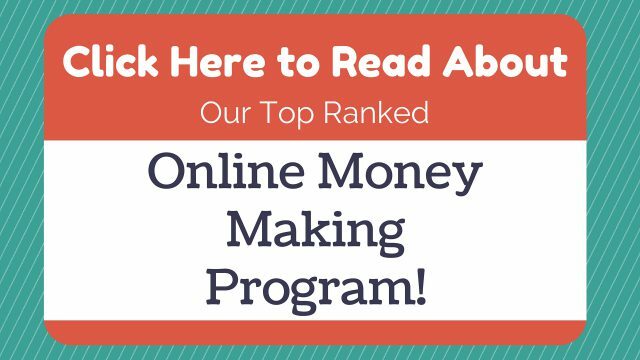 My Top Ranked Program gives you all of the training, tools, and support you need to create an online income. Since joining their program I’ve been able to create a consistent online income that’s allowed me to quit my job and work completely from home! Is Auto Chat Profits A Scam? What Do You Think? Let Me Know In The Comments Below!